Is LinkedIn a big waste of time? Or can it be used to drive leads and sales for your business? Many people view LinkedIn as a great way to meet new people, network, and stay in touch with associates. Others view it was a waste time. And that becomes a self-fulfilling prophecy. But if you know how to use it, you can use LinkedIn to guide your prospective customer along your customer pathway. You can lead your prospect from from awareness (or consideration), to evaluation, to a purchase — and eventually get them to advocate on your behalf. It’s the foundation of creating value. Ponder for a moment what the world was like before LinkedIn. Before LinkedIn, if you wanted to get an offer into the hands of a prospective customer, the best way to do it was via direct mail. With direct mail, you’d need to purchase a list, hire a copywriter and a designer to create a mail package (either a sales letter or an over-sized post card). Then you’d need to print it, and mail it. By the time you were done, it was easy to spend $10 to $20 thousand on a small test of 5,000 prospects. And you were lucky to get a 1% response! One of the big problems doing it the old way was that the lists were not always accurate. The best lists were controlled circulation lists. You’d get a list from a trade magazine that qualified its readers in an industry vertical or job function. While it was free to the subscriber who filled out the little qualifying card tucked inside the magazine, incomplete data was a huge problem for the circulation directors (and consequently for you — if you were renting those lists). Subscribers would routinely fib about their titles, their names, and their job functions. All things being said, it was an inefficient, and very expensive way to get new business. Now you’ve got 100% accurate, self-reported, and extended demographics. Now people spend hours making sure their social media profiles are accurate. It’s a circulation director’s dream. So you get great targeting at a fraction of the cost. Despite these advancements, it’s really astonishing how many people still don’t know how easy it is to use LinkedIn’s Sponsored updates to generate quality business leads for their sales team. First you need to identify the problem. What is it that keeps your best customer awake at night? My best customer is looking for more customers! He or she is under the gun to produce results for his or her company. He or she is looking for ideas and resources to make things happen. Either they don’t have the talent in-house, or they need an extra pair of hands, or they’re looking for a new way of doing things. Maybe they’ve developed a new product, and rather than going through the traditional launch process, they want to get it out there to get quick customer feedback. Once you’ve identified the problem, now you need to tell your story. We all need to learn to tell a better story. Write a post, or create some content about to your best customer’s worst pain to your best customer persona. Use the PAS Copywriting Formula (Problem, Aggravation, Solution). Start with the problem. Make ’em really feel the problem. Then explain how you can fix the problem. Weave your brandscript into the post, i.e, write if from the customer’s point of view. Show your customer how you can guide them towards the solution. Hone in on how you’re going to improve your customer’s life they go with you. Remember, people are looking for solutions. It’s not that they’re lazy. They’ve got other things to do with their time! If they find a solution that looks like it’ll work, they’ll try it! At the end of the post, offer your prospects a free worksheet, available on your website, to accompany the blog post. Make the solution as simple 1-2-3. Once you’ve identified the problem and created some content, you need to get it on front of your best customers. A great way to do that is via the LinkedIn Sponsored Update. Like on any paid advertising network, the first steps in building your campaign are important: What is the total budget for your campaign? What’s your daily budget? How long will the campaign run? 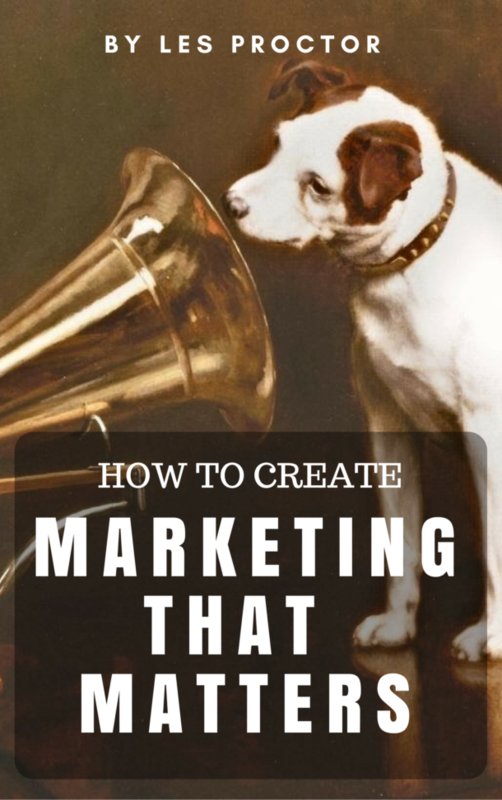 Ironically, when you’re creating your campaign, the way you target your customers is very much like the selection criteria for the old controlled circulation list. You can target by geography, industry, job title, job, and other business demographics. A minimum audience size of 1,000 is required. So that’s it: (1) Identify your best customer’s worst problem (2) create some content that shows them how you can solve it, and (3) run a sponsored update putting it right in front of your best prospects. Now you can get leads more efficiently at a fraction of the cost. All it takes is a little creativity! If you need any help putting together a sponsored post to generate leads & sales, I’d be happy to help. Please give me a call at 216-973-9228.